The old gag is that every casino patron has a cigarette in one hand, a cocktail in the other and is pulling an oxygen tank behind them. That’s definitely no longer the case. Casinos attract customers from a wide range of demographics and with the growing variety of gaming properties in the United States there is literally something for everyone. That includes outdoor adventure enthusiasts. Whether you’re into snowboarding, mountain biking, climbing, hiking or anything else you can find the perfect casino experience to provide a nighttime respite from the ‘great outdoors’. The goal with this list is to highlight properties that combine a first rate casino experience with a great outdoor adventure ‘basecamp’. 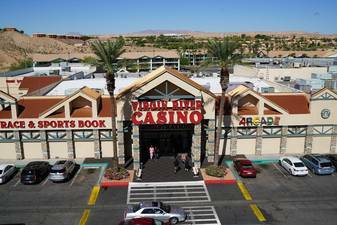 The seven featured properties are admittedly ‘Western focused’ but on balance Eastern casinos have a tendency to be located far from anyplace that approximates an outdoor recreation destination. There are exceptions, of course, and our research continues. We might even do a dedicated ‘East Coast’ version of this list in the future. Also omitted from the list are the many excellent properties in Las Vegas. This isn’t to say that there aren’t great outdoor activities to be had all over Southern Nevada but we wanted to go off the beaten path to compile this list. 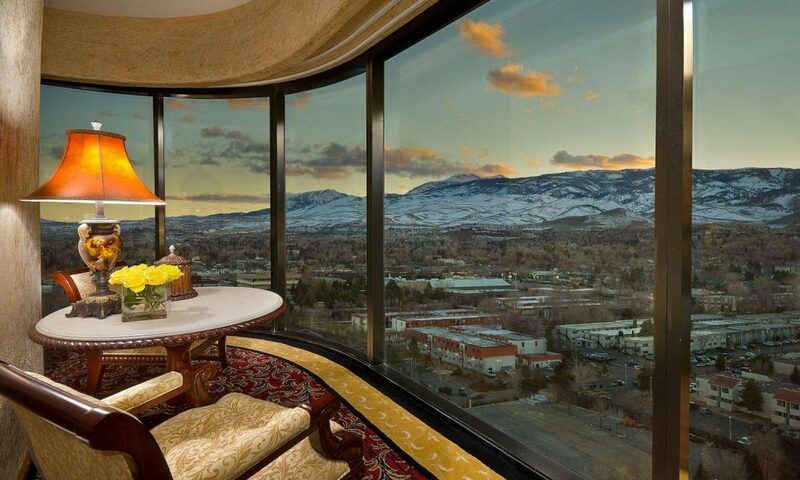 Until the highly improbable happens and gambling is legalized in Salt Lake City there’s no better alternative than Reno, Nevada. Plenty of places to stay and play at all prices ranging from the budget minded Circus Circus to the more upscale Atlantic and Silver Legacy. For some reason, we always gravitate to the Peppermill Resort Spa Casino. We’re a sucker for an independently run sportsbook and after a $3.5 million remodel job the Peppermill in our opinion is the best in Reno and among the best in the entire Silver State. They’ve got plenty of dining options including a 24/7 espresso bar, a cafe that serves homemade gelato, and several good gourmet rooms with the Asian themed Chi a personal favorite (try the Seafood with Pan Fried Noodles). They’ve even got a slightly smaller version of the Peppermill’s iconic ‘Fireside Lounge’. The location is also great–close but not too close to the downtown proper with easy airport access. I can’t count the times I’ve been snowed in and stranded in Reno but at the Peppermill you’ve got everything you need. Who would want to leave? Lake Tahoe offers no shortage of outdoor activities all year round. In the Winter, there’s snowboard and skiing and in the Summer you’ve got mountain biking and boating. 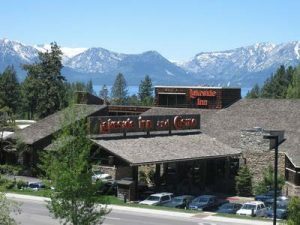 There’s a number of excellent hotel/casino resorts in the area but on Lake Tahoe’s South Shore our favorite is the rustic Lakeside Inn. Perfectly located equidistant from the Heavenly Valley Ski Resort and the Lake, Lakeside Inn is small by modern hotel/casino standards with 124 rooms–all decorated ‘Tahoe Style’. They’ve got a casino with all of the necessary amenities including a William Hill Race and Sports Book. They don’t charge resort fees and they’re pet friendly. They’re also the favorite among Stateline and South Shore locals. 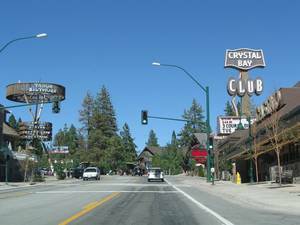 Over on the North Shore of Lake Tahoe we love the locally owned Crystal Bay Casino. The Crystal Bay’s roots date back to the 1930’s yet the property has been immaculately kept yet doesn’t feel like an antique. 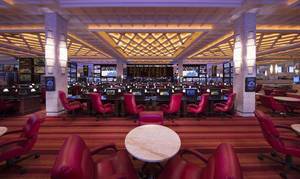 All of the modern touches you expect from a first rate casino property are there including a William Hill Race and Sports Book. The Cilantro + Barley Casino offers three meals a day of casual Mexican fare and the property features arguably our favorite steakhouse in the Tahoe area. Lodging is available at the very unique 10 room Border House which is a downright unforgettable experience. Unfortunately, the property doesn’t allow pets but is otherwise a great jumping off point for all of your Summer and Winter adventures. The Crystal Bay is as ‘old school’ Nevada cool as you’ll find anywhere in the state! Mesquite, Nevada has always been one of our favorite places to get away from the hectic pace of Las Vegas. Mesquite is a highly underrated golf destination in it’s own right but what puts it over the top is location, location, location. Right over the Arizona/Nevada border, Mesquite is just over a half hour from St. George, Utah which is the epicenter of Southern Utah’s ‘Canyon Country’. The employee owned Eureka Resort is a fine place to stay but we love the one/two punch of the Virgin River and Casablanca which share common ownership. The two resorts offer all of the gaming you’d expect from a decent casino property including an independently run Race and Sports book! If you like a little vice with your Southern Utah splendor you’ll find Mesquite to be a perfect jumping off point. The winding mountain drive between St. George and Mesquite is worth the price of admission all by itself! The Twin Arrows Trading Post was once one of the iconic tourist stops on Route 66. The trading post closed in 1995 but the shop’s namesake arrows remain. The arrows motif lives on in the stylized logo of the Navajo owned Twin Arrows Casino Resort. You won’t find many towns more beautiful than Flagstaff, Arizona and the Twin Arrows is a half hour from downtown. The area offers plenty of outdoor activities all year round including skiing, snowboarding, rafting, climbing and mountain biking. It’s also 90 minutes South of Grand Canyon National Park and that’s definitely worth a visit if you’ve never been. Aside from the location, Twin Arrows is a solid gaming property offering a decent selection of slots and video poker, table games and bingo. Hopefully, it won’t be long until they can add sports betting to their wagering menu. The hotel accommodations are classy and comfortable and there’s a very nice heated indoor pool, a fitness center and a several gourmet and casual dining options. The gambling scene has definitely improved in Colorado’s mountain casino towns since my first visit. Back then, I’d walk through the streets of Central City on a cold Winter night and think of all the potential it had. Fortunately, much of that has now been realized. When I first went to Central City all I could find were ‘sucker bet’ slot machines but now there’s table games and a decent offering of video poker machines. Some of the casinos are smaller properties without hotels but there are a number of lodging options in really cool ‘Old West’ type buildings. 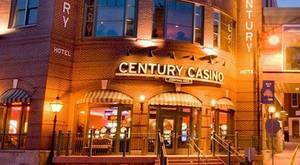 Our favorite is the Century Casino in Central City. They’ve also got a property in Cripple Creek that is worth a visit but the Central City location is in much closer proximity to Denver. The scale is definitely small by Nevada standards but the Century Casino offers comfortable accommodations and tasty food–along with plenty of video poker! If you get sick of tripping over baby strollers in Nevada casinos you’ll love Colorado–most of the properties won’t accept guests under the age of 21 in the hotel or even to eat in the restaurants. 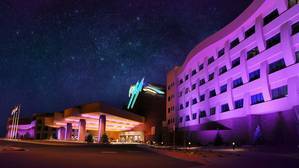 The name sounds like a Ronnie James Dio song title but the Inn of the Mountain Gods Resort Casino is a huge and extremely impressive property in Mescalero, New Mexico which is three and a half hours South of Albuquerque. 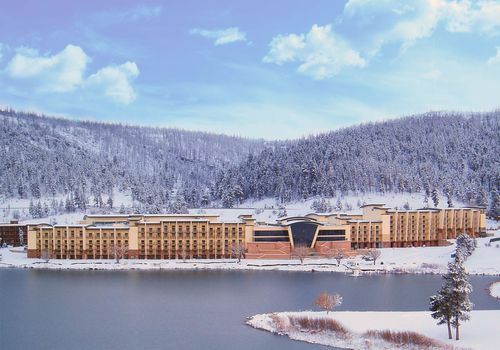 Owned by the Mescalero Apache Tribe, the Inn of the Mountain Gods would be worth a visit even without the casino element. They offer spa services, several dining options including a gastropub with 60 beers on tap and a steak house and a cocktail lounge. The rooms are tasteful and comfortable with most having a view of the gorgeous mountain scenery that surrounds the property. There are plenty of outdoor activities including fishing, hiking, mountain biking, golf and a zip line. There’s even skiing in the Winter though nothing that will make you forget Utah’s Wasatch Mountains. A great place to relax and get away from it all.